Most educators are eager to expand our knowledge about a wide range of topics. 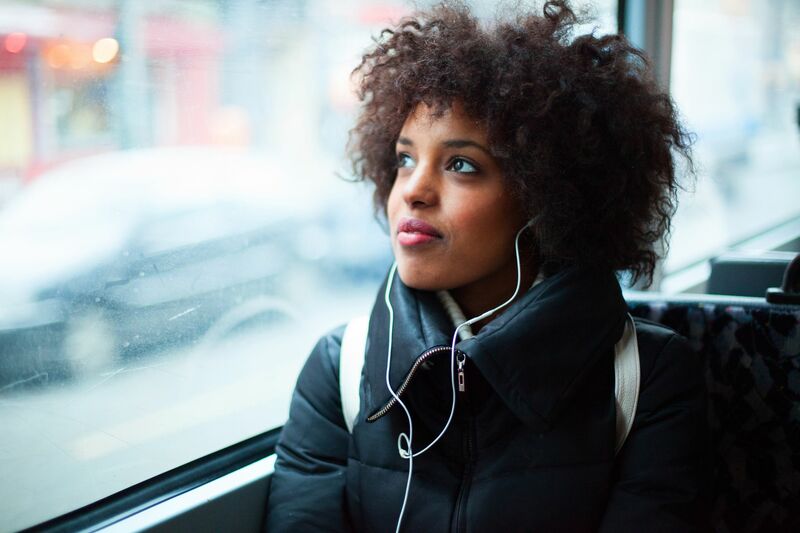 Podcasts are a fantastic way to learn—you can listen to them while driving to work, cleaning your classroom, walking the dog, or preparing dinner. What follows are my favorite podcasts that introduce new ideas that can contribute to teachers’ success and happiness in the classroom. I don’t include podcasts that are specifically for educators and about education—instead suggesting ones that take us a little bit outside of our field and into content that is deeply connected to it. On Being is my all-time favorite podcast. Host Krista Tippett interviews an endless stream of compelling guests, and the shows are so well done. There are so many brilliant episodes—“Opening to the Question of Belonging,” with john a. powell, helps me think about how we can create more racially equitable schools. Fresh Air is an interview podcast. Among my favorite episodes are the one with lawyer and activist Bryan Stevenson, and the one with Nikole Hannah-Jones in an episode on school segregation. Both offer a hearty mix of inspiration and information about schools and social justice. This American Life takes on a new theme each week—like love, or babysitting, or cars. Start with the episode “The Problem We All Live With,” which explores racial segregation in our schools and the role we play in upholding or dismantling it. How to Survive the End of the World discusses science fiction and fantasy; racial, ethnic, and gender identity; writing and creating; and, yes, surviving the apocalypse. Start with the pilot to learn what this podcast is all about. Every episode makes me think about curriculum and instruction, what kinds of books our kids read, and how we teach writing. How to Make Love explores what love is, how we define it, and how to create more love in our world—all through a lens of historical systemic oppression. Check out Episode 14, which examines what it means to “build a practice,” with an insightful definition and perspective you can ponder in terms of your own teaching practice. Also, listen to this interview with Robin DiAngelo on the topic of white fragility. This episode made me think deeply about how to engage white teachers in conversations about race. The Tim Ferriss Show interviews highly successful people and explores how they got to where they are. Each episode takes an in-depth look at a leader. I loved “How to Overcome Fear and Embrace Creativity,” with Susan Cain, because it reminded me of what I experience as an introverted teacher and leader, and helped me think about how to create classrooms where introverted children can thrive. The Good Life Project ponders what it means to live a good life. Johnathan Fields skillfully asks questions that take conversations deep, and he welcomes a lot of interesting people to his show. His interview with Priya Parker is fantastic—it gave me great ideas for how to form meaningful relationships with colleagues. And his interview with Brené Brown was a beautiful reminder of the vulnerability that’s required in life, and made me think about how challenging it is to be a young person these days. Hidden Brain mixes science and storytelling to explore the unconscious patterns that drive human behavior, and the biases that shape our choices. There are so many good episodes, but try “When Did Marriage Become So Hard?” or “Nature, Nurture, and Our Evolving Debates about Gender.” Both of these episodes made me think about the intersection of relationships (with loved ones, students, and colleagues) and identity markers. This podcast offers accessible information about neuroscience. Freakonomics tells you things you always thought you knew (but didn’t) and things you never thought you wanted to know (but do). Two episodes I really liked are “How to Be Creative” and “Where Does Creativity Come From (and Why Do Schools Kill It Off)?.” Sometimes insights from a field I never wander in (such as economics) give me all kinds of ideas for how to do work in education. Invisibilia explores the invisible forces that shape human behavior, including ideas, beliefs, assumptions, and emotions. This podcast can provide insight into social and emotional learning curriculum. The episode “Flip the Script” looks at situations where someone has done something differently than they normally would. “The Other Real World” is about a fascinating United Nations–backed reality TV show called Inspire Somalia. You Are Not So Smart investigates self-delusion and neuroscience. The episode “The Backfire Effect” may provide insight into why you can’t convince your grade-level teammates or administrators to share your strongly held beliefs. Metta Hour really hits the spot when I’m looking for wisdom on the human condition and my own thoughts, emotions, and actions. Sharon Salzberg, a renowned meditation teacher, is the host. I really enjoyed a recent episode with Oren Jay Sofer about how to communicate more effectively and an episode with Ruth King about doing social justice work. When I’m feeling rattled, listening to Salzberg gets me back to a place of calm—a necessary state for those who teach and lead. Dear Sugar is hosted by Cheryl Strayed (author of Wild) and Steve Almond. In each episode, they answer letters from listeners about relationships, self-care, and more, and respond with radical empathy. This show calls me back into a place of deep compassion—for myself and for others. Try any episode after a rough day. The Moth is a recording of “true stories told live.” Try “The Curse,” by Dame Wilburn, to start with. These poignant stories—told without notes!—will make you laugh. This podcast always helps me remember that everyone I meet every day—students, parents, district administrators—has a story that might make me cry, and laugh.